Is this a good first drum set? Also do you think it will come with stands? I have also picked out a hi hat and crash..
Would these work well and be good for their price? Last question.. do I need more? Welcome to the drumming world! I know you will enjoy it. I looked at the drums and cymbals. The drums are probably fine. You need to be aware that this is a "shell pack"--NO STANDS. 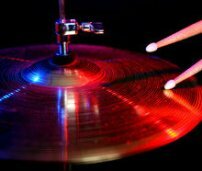 You will want to plan on buying a hi hat stand and a crash stand at the very least. Also a throne. and don't forget the BASS PEDAL. The cymbals should be fine for starters. You can always upgrade later.